Four Tier Wedding Cake at Botleys Mansion (Bijou Weddings), Surrey. 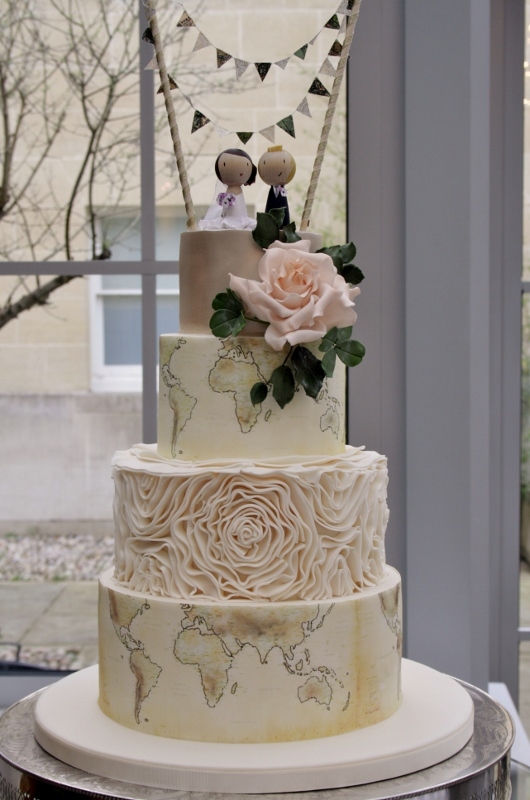 For a couple who have travelled extensively, this cake incorporated the world map theme, on both the base tier and then tier two, edible and hand embellished. Tier one decorated with ivory sugar ruffles and tier three finished in a pale champagne lustre. Full bloom sugar rose and foliage, together with sugar four leafed clover (to match wedding invitations). 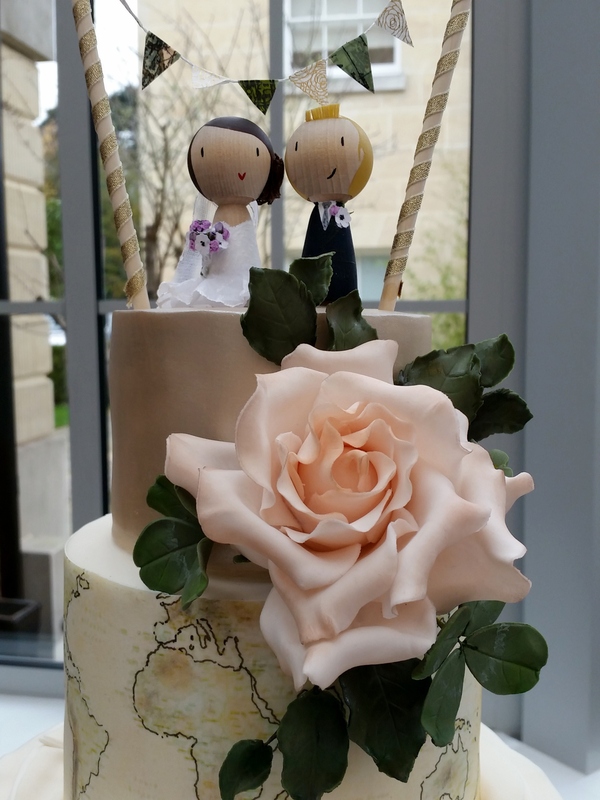 Cake topped with personalised Peg It Dolls and bunting made by one of the bridesmaids. Sharp edges to each tier. Base tier of Vanilla sponge with whipped Madagascan Vanilla Bean Paste buttercream and Raspberry Conserve, ganache and icing. Tier one of fresh Lemon Zest sponge with whipped Lemoncurd buttercream, ganache and icing. Tier two of Belgian Couverture chocolate and orange zest sponge with whipped Belgian Couverture chocolate and Orange Oil whipped ganache filling, ganache and icing. Tier three of moist rich fruit cake, marzipan and icing. Cake serves 130 finger portions.